We are proud to announce the graduating class of 2018! Last week 18 students from Rock of Ages completed their Primary Leaving Exam (PLE). This two day test will determine what high school they are able to attend in the new year. We honored the graduates on Oct. 31 with a private party at the River View Hotel, a quaint local place that overlooks the Nile River. Students began the celebration with a pool party. Splashing was definitely their favorite water activity! 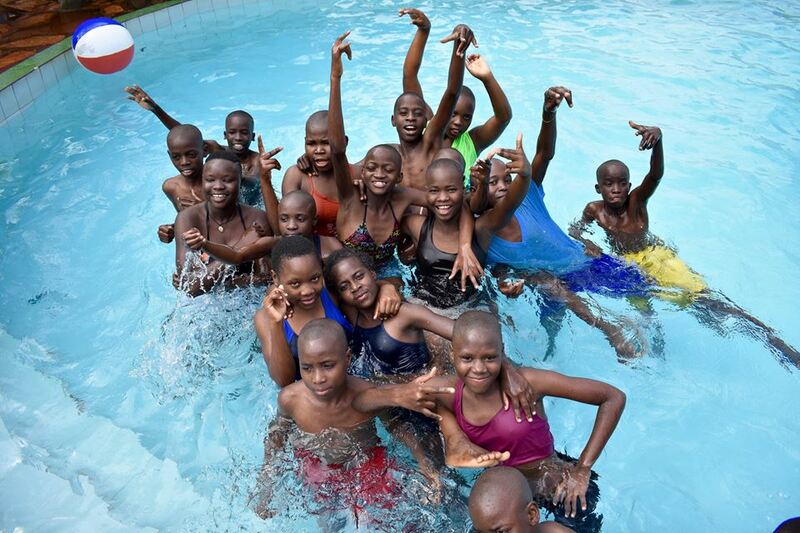 Swimming is a very special treat for children in Mbiko as it’s often a luxury reserved for the wealthy. No one wanted to get out of the pool when dinner was ready to be served! All teachers and staff including the cooks and the night guard were invited to join in on the fun! 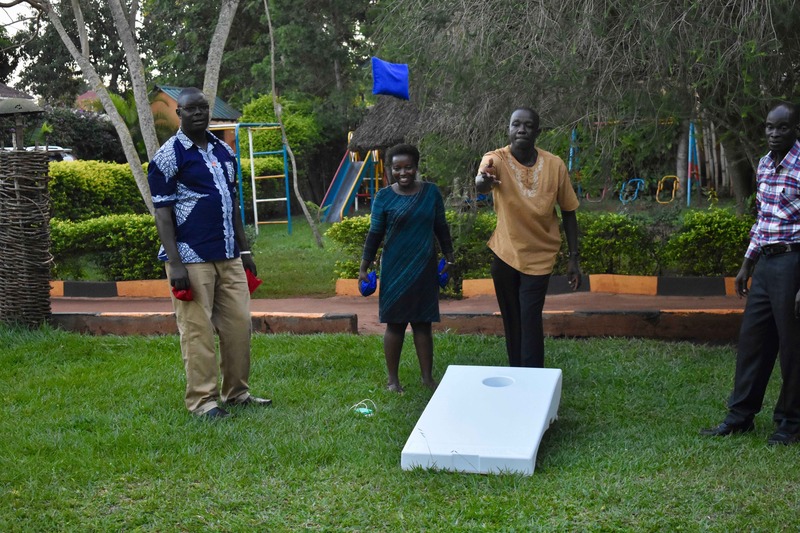 We were able to bring the game “Corn Hole” with us, and debuted the boards for the first time at the P7 party. While the students were more interested in dancing, the teachers and staff competed until the end of the night! Dinner followed the pool party and shortly thereafter teachers and administrators presented speeches to the students, commending them for their hard work and dedication throughout their time at Rock of Ages. Then the dancing began and didn’t stop until the party was over! There was some downtime dedicated to cake, but then it was straight back to the dance floor! It was a wonderful evening celebrating these amazing students and their hard work in preparation for their PLE. Students will receive their PLE results in January. 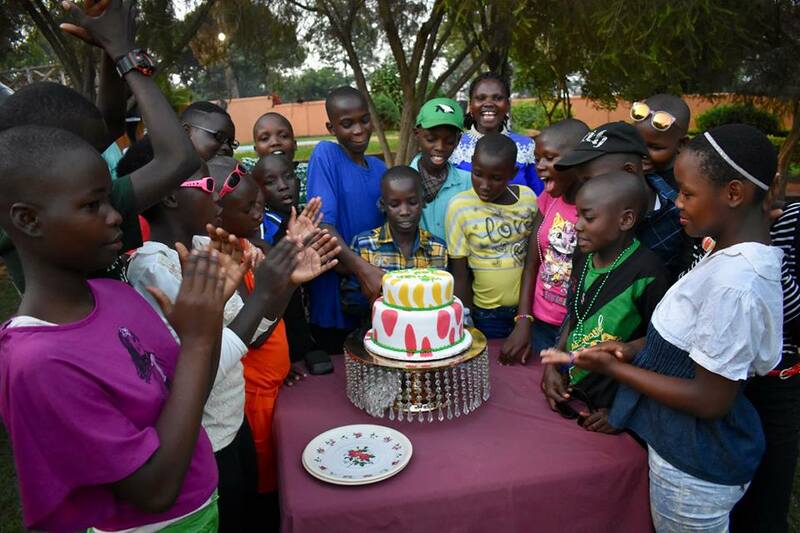 They will then begin their secondary education at the end of February at their respective schools. High school (more commonly called Secondary School in Uganda) is very costly as nearly all schools require boarding. As we move towards the end of November, quickly approaching “Black Friday” and “Cyber Monday” please consider joining us on “Giving Tuesday” (November 27) in fundraising for the continued education of these students! 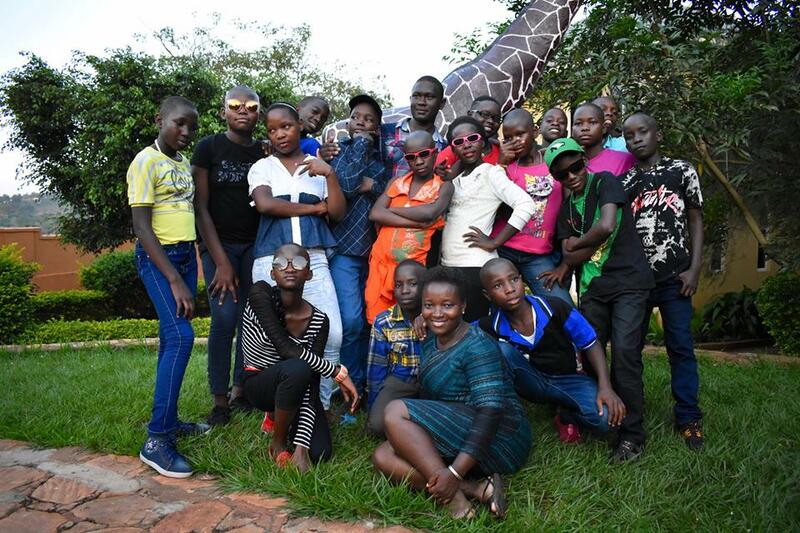 If you would like to make an immediate donation towards the secondary education of the ROA P7 graduates click here. 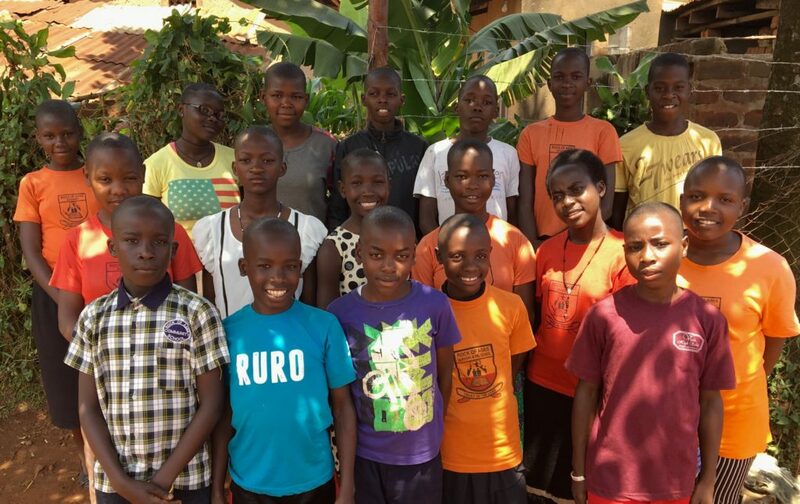 If you are interested in sponsoring a student throughout their secondary education please email us at info@hands4uganda.org for more information. What a special event celebrating these students. May their futures be very bright!